Caterpillar Dealer Service Technology is a two-year technician training program designed to prepare students to become entry-level Caterpillar Dealer Service Technicians for the dealerships that buy, sell, and repair Caterpillar equipment. In this program, you’ll learn how to work on many types of Caterpillar machines and equipment including: agricultural, construction, and earthmoving equipment to name a few. This program combines classroom work in state-of-the-art labs with real-world experience through internships. In class, you’ll learn about engine fundamentals, machine hydraulics, Caterpillar fuel systems, machine electrical systems, transmissions and torque converters, undercarriage/final drives and more. You’ll also serve four paid eight-week internships at your sponsoring Caterpillar dealership to experience your future career first-hand. The Caterpillar Dealer Service Technology program (also known as Think Big) began in May 1998 as a joint venture between Caterpillar and Illinois Central College to develop a new pilot program to meet the growing need for technicians in the heavy equipment industry. The primary focus of this new program was to train young men and women on a Caterpillar product line that would provide the program’s partner dealers with a high quality technician. In 1998, ICC partnered with Altorfer Inc. with dealer locations in Illinois, Iowa, and Missouri and also with Patten Industries Inc. located in Illinois and Indiana. Since that time, we have added Whayne Cat with locations in Kentucky, Indiana, West Virginia, and Ohio. We moved into a new state-of-the-art training center built on the ICC campus in June 1999. Since that first class of 11 students, the program has graduated over 330 students. The success of this program is underscored by the strong support it receives from our partner dealers, ICC, and Caterpillar. This support insures our faculty and staff are able to provide our students with the highest quality education available and our partner dealers with quality technicians that help meet their ever increasing needs. Be accepted for sponsorship by a supporting Caterpillar dealership. To request an informational packet please call (309) 694-5716. Put yourself in the driverseat of a rewarding and exciting career. Think Big about becoming a Caterpillar Dealer Service Technician. You’ll work on some of the biggest, hardest-working machines in the world. As a graduate of this program, you will become a highly skilled member of the Caterpillar Dealer Service family. You will have great benefits, flexible hours, and job security. 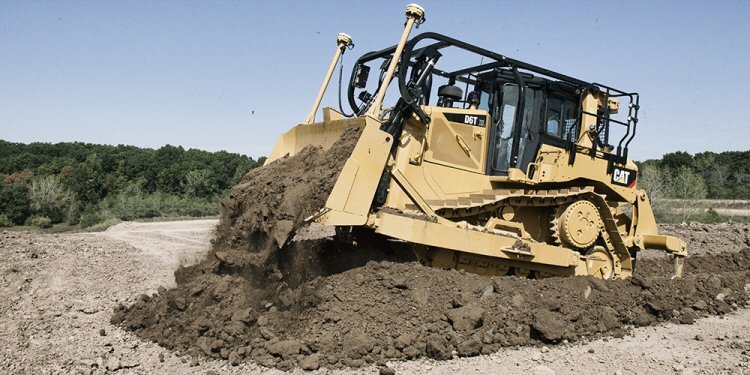 You will also become a respected professional in the Caterpillar Dealer Service industry. The heavy equipment industry pays well, and Caterpillar dealerships lead the way in offering great salaries. Your starting pay can be $25, 000 to $40, 000 a year. Think Big!… If Big machines, Big opportunities, and Big benefits interest you then Think Big about your future at Illinois Central College’s Caterpillar Dealer Service Technician Training Program. ICC’s Caterpillar Dealer Service Technology program wouldn’t exist without the support of Caterpillar Dealerships. As a student of this program, you will spend four 8-week paid internships at your sponsoring dealership. Dealership sponsorship is crucial to this program and to the hands-on training effort. Each semester consists of eight weeks of technical classroom study and a required eight week dealer sponsored internship work experience. Upon graduation the student will have earned an Associate in Applied Science degree.